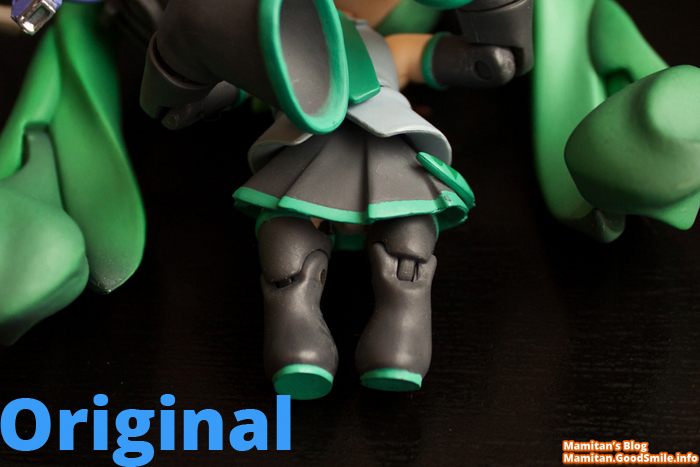 Nendoroid HMO Miku Bootleg Warning! 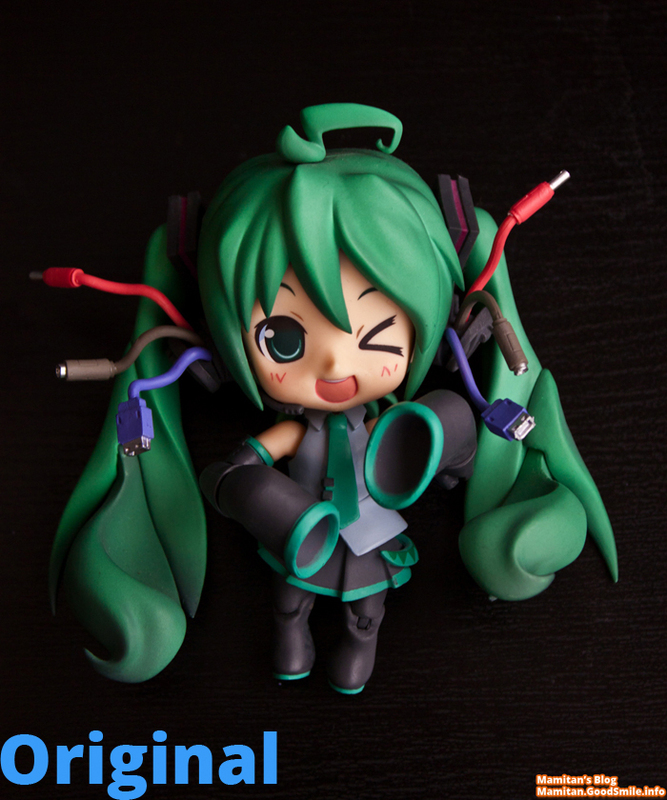 This is HMO Miku, a Nendoroid created back in 2011. It’s based on the artwork off the cover of the album Hatsune Miku Orchestra. She’s really adorable and personally one of my favorite nendoroids, which is why I want to send out a warning to be aware and careful of bootlegs. 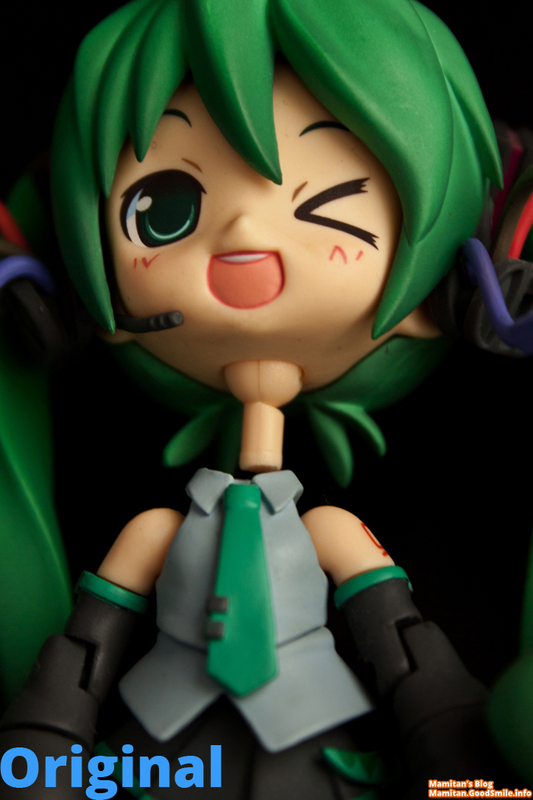 This ugly monstrocisty is the bootleg of HMO Miku. Buying her she didn’t cost much and came in a plastic bag. 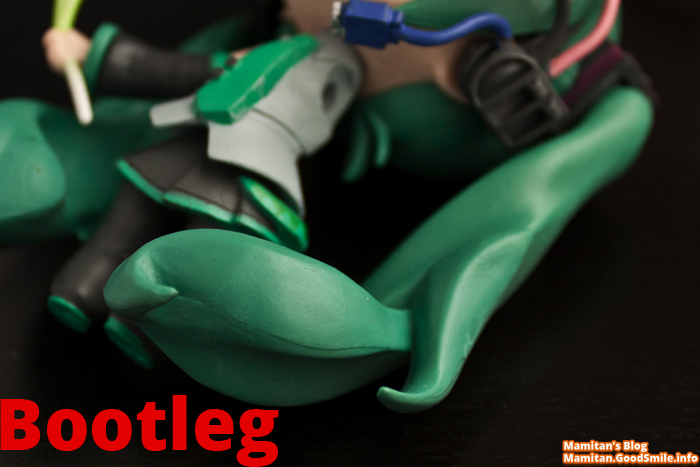 While a seasoned figure collector will know she’s a bootleg you’re average fan might not know. Overall the quality is not only terrible she did not come with a base to display her, she doesn’t stand on her own and she was even missing her left arm. The original Nendoroid show here, her hair has movable parts. This allows for better posing but also to give more movement to her hair. 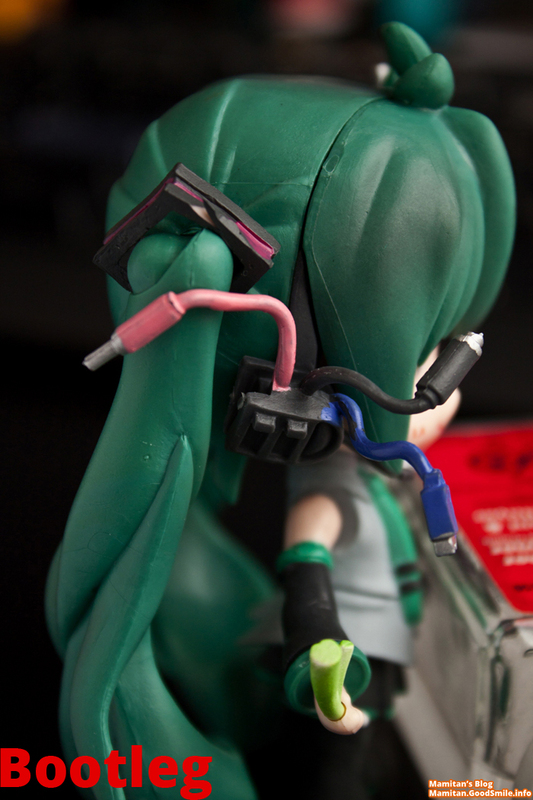 The bootleg’s hair part isn’t movable and the paint is really splotchy. This particular Nendoroid is also a part of the Super Movable line of Nendoroids that include joins in many parts including her knees. The bootlegs legs don’t include this part and in fact are not movable as well. As you can also see the paint, again, is very bad and not kept inside the lines of design either. 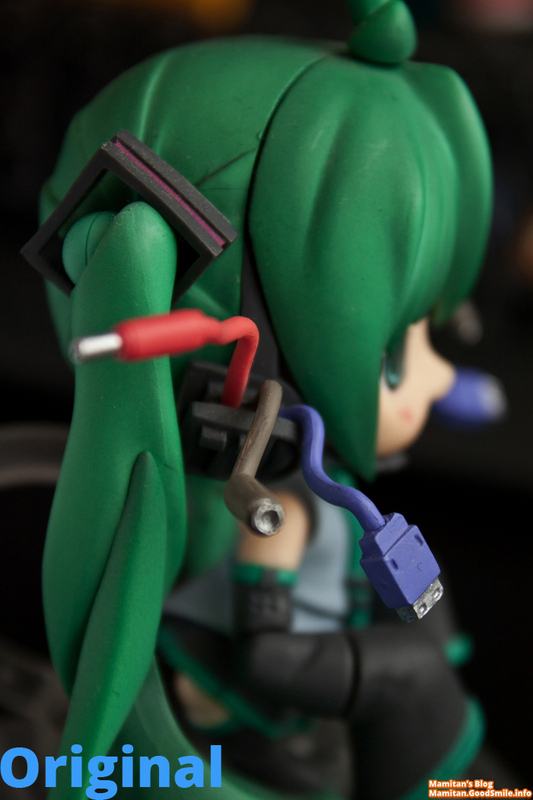 Another part that is a sweet part of the original Nendoroid is the cables coming out of her headphones. However the cables are so badly painted and not even pointing in the same direction as the original. Also the colors aren’t the same as well. 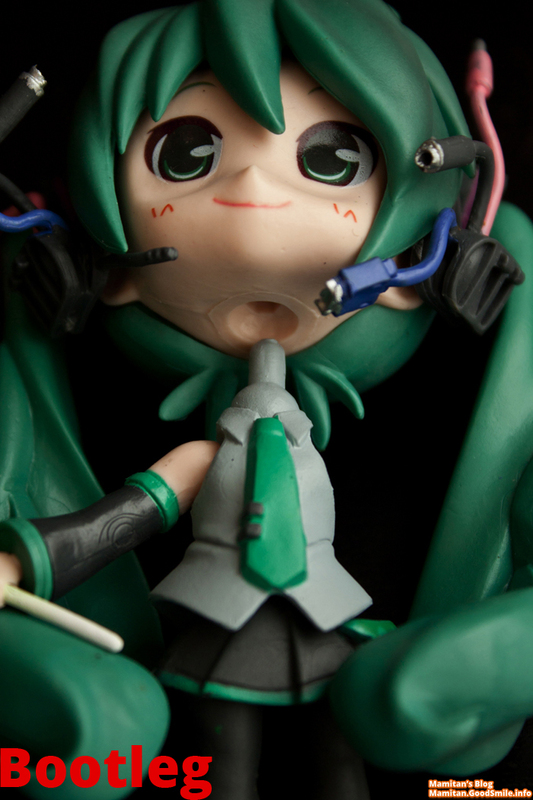 The Heads and Faces of Nendoroids are interchangeable and when you remove the head included is the Nendoroid joint. 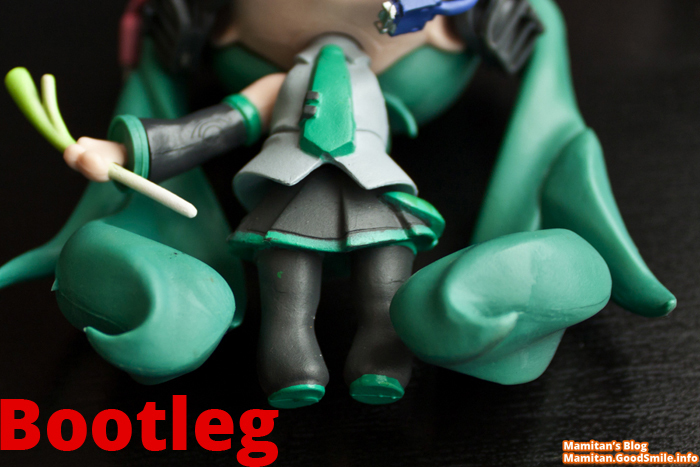 The bootleg figure doesn’t include the joint but instead has a grey peg inside the neck. The face isn’t interchangeable as there were no other faces. I want everyone to be aware of bootlegs out there. On the Good Smile Company webpage there is a section on bootleg warnings. Make sure you check out the page and I’ll be sure to update you with better ways to avoid bootlegs! 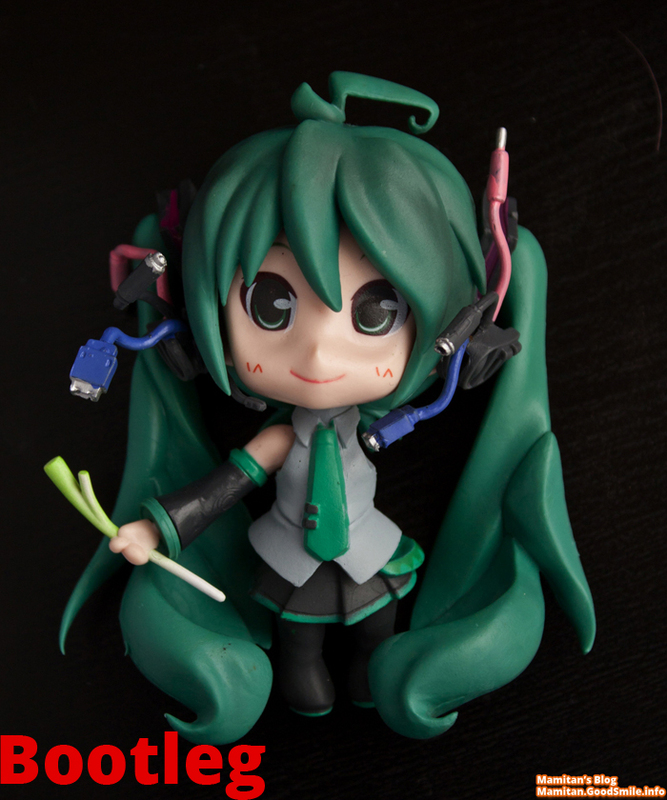 That bootleg Miku is so ugly. You can tell the differences by just looking at it. 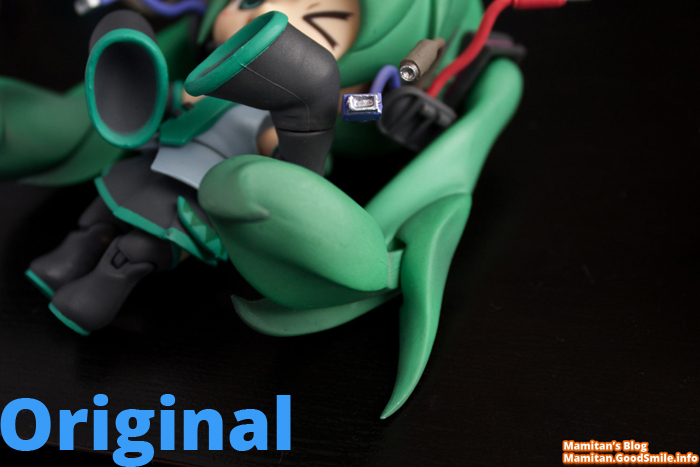 But I’ve seen many bootleg nendos that look like the original. Creepy. I just bought her for a friend and her torso joint is SOOOO WEAK. It’s definitely original though. Just wondering any tips to help secure her torso joint?